After What The Hemp's First succesful debut in 2018 we are doubling it's size to allow for even more fun, exciting, and educating displays. This is a Family Friendly Event designed to educate the public about the worlds most beloved and versatile commodity and give producers an opportunity to share their products with customers. 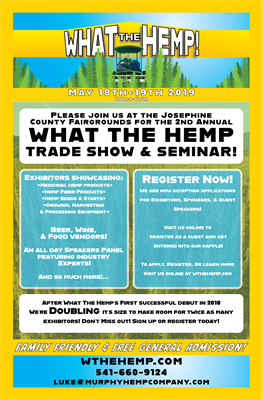 Come see exhibitors showcasing unique CBD products, processing equipment, farming equipment, Soil Amendments, and Seed And Fiber processing demonstrations. And don't miss the Speakers Panel, Featuring industry experts and testimonies from people who've experienced amazing recoveries from using medicinal hemp. Admission is free! So bring your family, bring your friends, and see what the worlds most versatile agriculture crop has to offer! 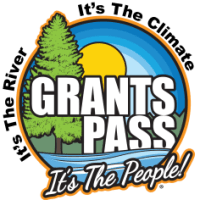 See you there, May 18th-19th!